Modern Chinese Cantonese food taken to the extreme of deliciousness. Crispy chicken with Chinese honey, shrimp dumplings, amazing rib-eye nuggets. The wine list is appropriate for the top level food they serve. The restaurant floor is a bit too loud but the food is really good. A classic American grill with amazing sandwiches, salads, and stellar pizzas. The chicken wings are really good, the crab cakes are fantastic. Special mention to the tuna tartar, it is amazing. Absolute top food from one of the culinary institutions of this country. 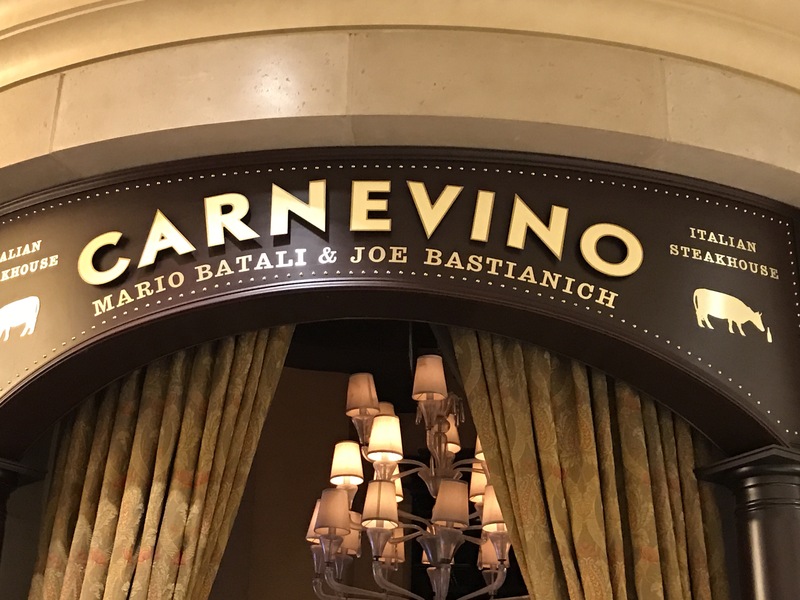 One of the most renowned restaurants in Las Vegas does not disappoint. From the service to the flavour profiles, from the menu to the wine pairing, this establishment lives up to its name. It’s a great chance to try one of Gordon Ramsey’s signature dishes, the beef wellington, or the beautiful seared scallops. The exclusive “Hell’s Kitchen” menu gives the opportunity to taste the most famous dishes from the TV show, with the possibility of a beautiful wine pairing. It comes with a complimentary copy of the menu and a signed picture of Gordon Ramsey. This is an absolute must. Booking required (well in advance). The tagline says it all: “eat, drink, love”. The buttata appetizer is great, amazing scallops sit on top of crispy chorizo and are topped with fried quail eggs. But the real star was the sea bass. Perfectly cooked, seasoned to perfections and accompanied by flavorful baby spinach. Amazing experience. The quality of the food, at this Italian steakhouse, is off the hook. Traditional Italian dishes like Prosciutto di Parma with Gnocco Fritto are represented in all their authenticity. The wine list is impressive and it was a pleasure to find a couple of entries from Buccella. Tagliatelle with black truffle are highly recommended. Grilled octopus is amazing. The very best comes with the cuts of meat. The 250 days dry aged reserve New York strip is something unique. Don’t miss it. A great contemporary American restaurant st Caesar Palace, Las Vegas. Great wine selection and amazing dishes. The short ribs are unbelievable, tender, and juicy. Reservation required. Part of the Gordon Ramsay’s empire, it lives up to its name. Ahi tuna sliders are extraordinary, onion rings are amazing and the burgers are off the hook. The proof of amazing mess comes from the quality that raw veggies with hummus are showing. You would never expect such respect for carrots at the average burger place. But this place is not average, and it totally worth a visit, and a return. They take no reservations.